a media report said Saturday. acid rain and contribute to particulate pollution. 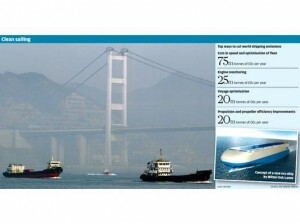 less-polluting fuel compulsory, the South China Morning Post reported. drop to 0.5 per cent by 2020.
ships are berthed at Kwai Chung port, starting January 1.
million US dollars per year. Taiwan, the French group CMA CGM SA and German carrier Hapag-Lloyd AG. Kong, the world’s third-busiest port by container. the public policy think tank Civic Exchange, said. in Kwai Chung and adjacent districts of Hong Kong. extra investment in low-sulphur fuel. Black oily smoke plumes belching from the funnels of large cargo ships and drifting over Kwai Chung and the surrounding districts could soon ease if shipping firms agree to change to less polluting low-sulphur fuel. Around 20 of the biggest container shipping carriers using Hong Kong port are expected to confirm by Friday that they will make the switch from January 1. One member of the Hong Kong Liner Shipping Association, Danish shipping giant Maersk, has already stolen a march on its rivals by not only agreeing but actually making the change from early September. The move miffed some of its fellow association members, not least the Tung family-controlled shipping line, Orient Overseas Container Lines, because it appeared to break a gentlemen’s agreement that January 1, 2011, would be the implementation date for the switch. Insiders said other container lines, including OOCL, were eager to follow suit and prove their green credentials. A 2005 study by think tank Civic Exchange and two universities showed vessels around the Kwai Chung container port were responsible for more than a third of the sulphur dioxide emissions measured at the Environmental Protection Department’s air quality stations. 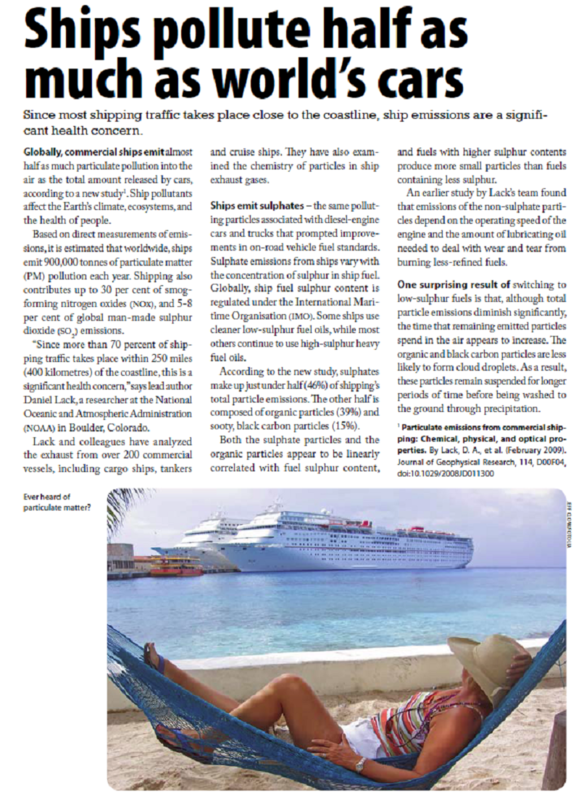 EPD figures also show that sulphur dioxide emissions from ships rose 16 per cent between 2001 and 2005. 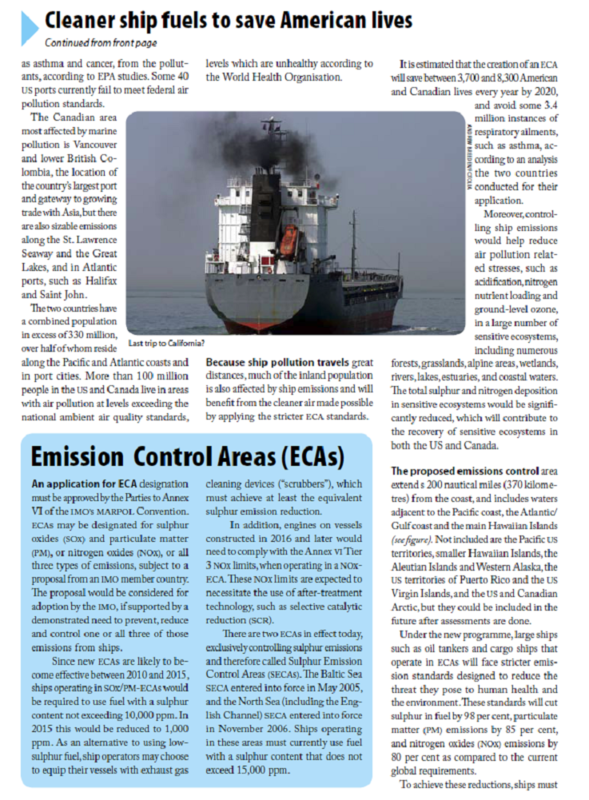 The shift to low-sulphur fuel while dockside is a small step but is also part of a wider shipping industry focus to cut emissions of carbon dioxide, nitrogen oxide and sulphur dioxide. It’s a direction that could lead ultimately to significant changes in ship design and a broader range of fuels used at sea and in port. Research is under way on several technologies such as wind and solar systems to augment the diesel main engines of vessels already in commercial service. 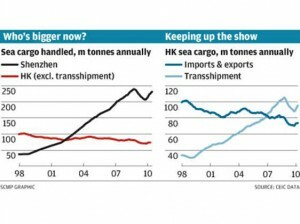 Moves are also taking place to replace diesel with liquefied natural gas or nuclear power. Vince Jenkins, global marine risk adviser with Lloyd’s Register, said the shipping industry would see “much greater diversity” of fuels with less reliance on diesel. Jenkins is heavily involved in efforts to develop nuclear-powered commercial merchant ships, which have also attracted interest from Chinese and South Korean shipbuilders as well as key shipping industry players. These include China Ocean Shipping chief executive Wei Jiafu. “If we could prove we are able to use nuclear energy on ships safely this could be one of the solutions,” Wei told a maritime industry forum in December. Jenkins said there were already around 600 nuclear-powered vessels operating around the world, including about 200 commercial ships. He said the move towards a nuclear-powered merchant fleet would be a national decision with large shipowners working in association with specific shipbuilders and governments. “Yards have been talking to us,” he said. “I can see China making a decision” to develop a nuclear powered commercial fleet. 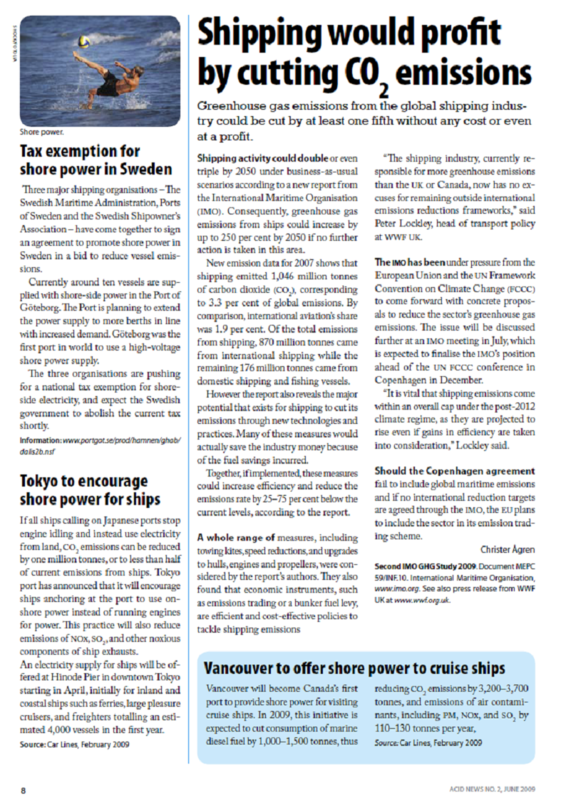 That decision could be several years away, but marine experts, shipowners and shipbuilders are taking their own steps to save fuel and reduce emissions. 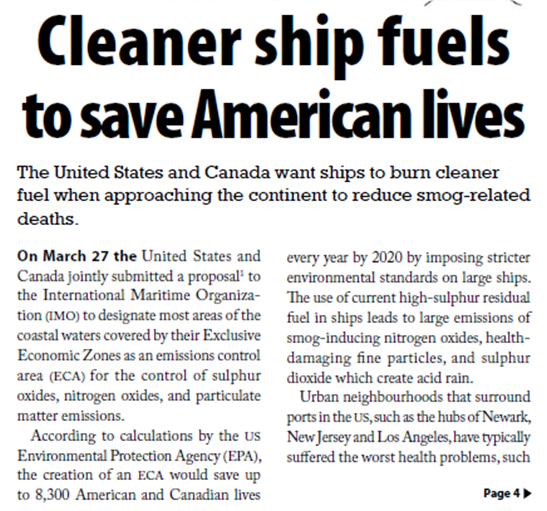 Part of this push has been mandated by the International Maritime Organisation, which aims to cut sulphur dioxide emissions from ships from 4.5 per cent today to 0.5 per cent by 2020. The shipping industry is taking action partly to save money after fuel prices hit a record high of around US$730 per tonne for the lowest grade bunker fuel in July 2008, while low-sulphur prices were almost double the bunker price. Container shipping lines, including OOCL, Cosco and South Korea’s Hanjin Shipping have cut the speed of their ships from around 24-25 knots to about 14-15 knots. Maersk estimated that it saved about US$500 million and cut carbon emissions by 15 per cent after introducing slow steaming at the end of last year. Other technological improvements have been made by carriers such as OOCL and French container shipping company CMA CGM on their large containerships to improve the efficiency of engines, propellers and hull paint. 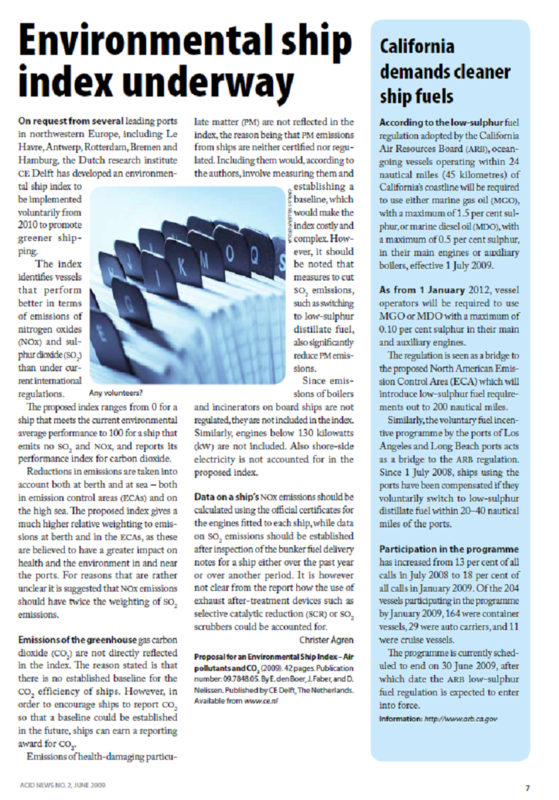 Danish ship classification society Det Norske Veritas estimated the global shipping industry could cut its emissions by 15 per cent – equivalent to about at 225 million tonnes per year – by adopting 10 existing technologies. These include cutting ship speeds, better voyage planning and improving propeller design and propulsion efficiency. But the cut in emissions, together with the commensurate fuel savings, could climb to more than 800 million tonnes per year by 2030 if new technologies such as liquefied natural gas power and fixed sails and winds were adopted. Danish shipowner Norden is already working with Chinese shipbuilder, Jiangmen Nanyang Ship Engineering, to change the design of two 33,700 deadweight dry cargo ships. Norden senior vice president Lars Lundegaard said the changes involved using a bigger engine and propeller on the ships that are due for delivery by early 2012. He said the move would cut fuel consumption and emissions by 10 per cent, while a further 5.4 per cent saving would result from other innovations such as hull paints. Japanese shipping companies, Mitsui OSK Lines and Nippon Yusen Kaisha, recently unveiled their design of concept vessels to save fuel and cut pollution. Mitsui said its designs were based on existing technologies, including solar power and a more aerodynamic design. 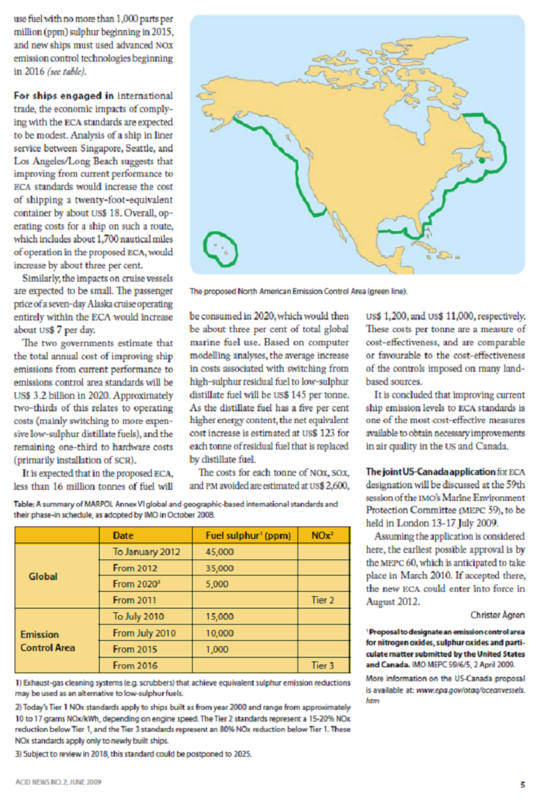 The firm forecast emissions could be cut by 41 per cent for its car carrier design, rising to half on bigger vessels. 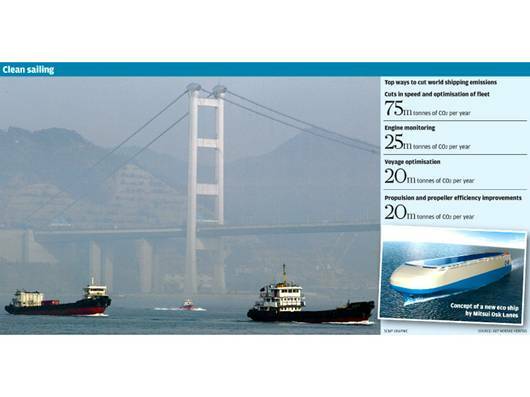 The NYK ship design uses innovations such as fuel cells to reduce fuel consumption and emissions.